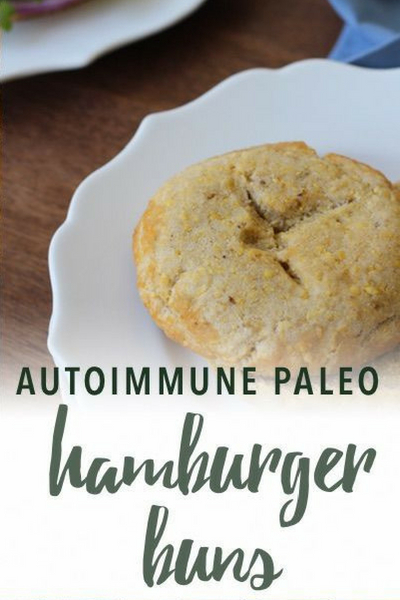 From Lauren: I’ve heard your requests for egg-free and Autoimmune Paleo recipes. I’m happy to introduce you to Michelle, who will be a regularly sharing AIP-friendly recipes here. Before I started following an autoimmune protocol diet, I had a serious meat aversion. I refused to eat any type of meat unless it was paired with a grain of some kind! Thus, chicken nuggets and turkey sandwiches were my best friend and worst enemy for years. After cleaning up my diet and digestion, my meat aversion slowly went away and I began enjoying meat on it’s own, and meals like bun-less burgers. Though bun-less burgers are a great option, there are some warm summer nights when you just want a bun on your burger! However, we know that conventional burger buns out of a plastic bag simply aren’t the best for us. For me, it’s just not worth the migraines or stomach aches caused from conventional burger buns that are made with highly processed wheat, GMO soybean oil, sugar and a handful of other undesirable ingredients. 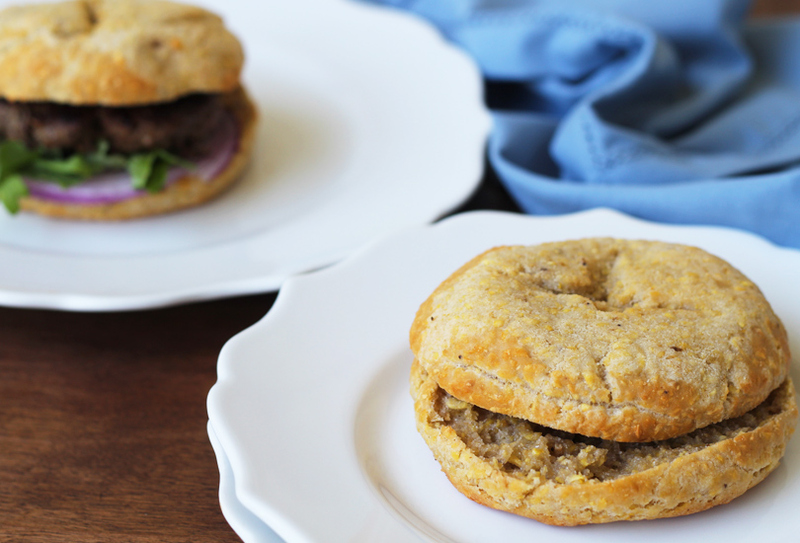 That’s why I’m so excited to share these AIP burger buns that are not only grain free, but egg free as well! Green plantain– Make sure you’re using plantains that are as green as you can find. Green plantains are starchier and hold better in recipes like this. When plantains brown, they become sweeter and the texture changes. Coconut flour- Coconut flour is grain free, and helps absorb moisture from the plantains. I have not tested this recipe without coconut, and would not recommend subbing it out. Tapioca starch– Seeing as this recipe is egg and grain free, tapioca helps bind it together. Make sure you’re using tapioca starch, and not cassava flour. I’ve tested this recipe with cassava flour, and it makes it much more dense. Gelatin– There’s your egg substitute! The recipe below for a gelatin egg is a great way to make baked goods AIP. Use the green can of Vital Proteins to make this recipe work. Collagen is not the same thing and will not work in this recipe. 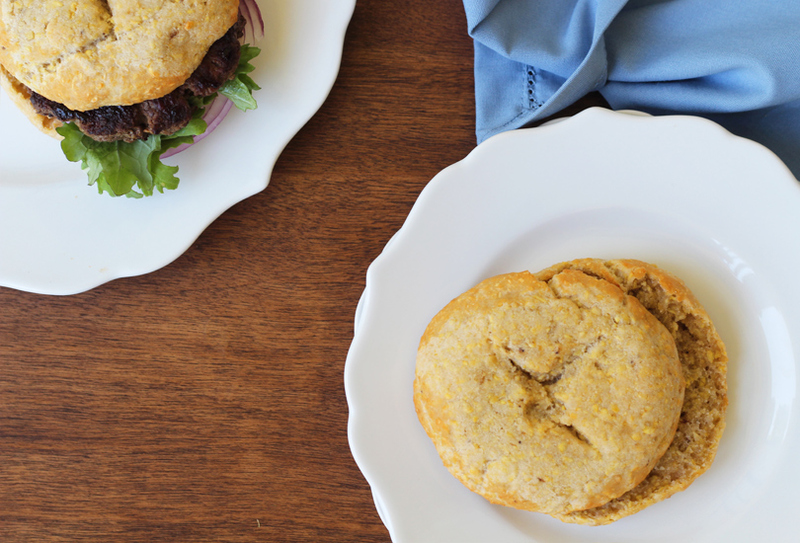 These autoimmune paleo hamburger buns rely on plantain and tapioca flour instead of white flour. Gelatin acts as the binder, so these buns are egg-free. Using a food processor or a high speed blender, puree the green plantain. Scoop out the plantain and add it to a mixing bowl. Mix in the tapioca starch, coconut flour, sea salt and ⅓ cup water. Set the mixture aside. Pour ¼ cup of water into a small sauce pan and add to a stove top. Slowly sprinkle the gelatin into the water (you don't want any clumps) and allow it to bloom for 1-2 minutes. Turn the heat on medium/low for 2-3 minutes to allow the gelatin to melt. Remove the pot from the heat and quickly whisk until it foams. Pour the gelatin egg into the plantain dough and stir to combine. Lightly grease a parchment lined baking sheet with 1 tsp coconut oil. Form the dough into two large buns and score the top with a knife into a cross cut. Lightly brush the tops of the buns with 1 tsp of coconut oil. Bake in the oven for 35 minutes. Remove from the oven and allow to cool. Once cooled, cut the buns in half and place them back onto the baking sheet with the inside of the buns facing up. Set the oven to broil and broil the buns for 2-3 minutes or until lightly crisped. Michelle Hoover is a Nutritional Therapy Practitioner, Blogger, and Podcaster at Unbound Wellness. 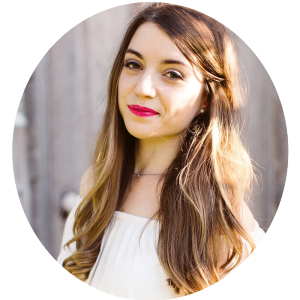 After being diagnosed with Hashimoto’s in her teens and living with gut issues and food intolerances her entire life, she started her blog to share her holistic lifestyle tips and paleo/AIP recipes that helped her heal and thrive. Michelle believes that real food doesn’t have to be boring and loves sharing recipes that are both nourishing and fun. You can follow along on her Instagram and Facebook. Is there a replacement for plantain? Hi there…I’m thinking this may not be compliant if I’m following an anti-candida diet currently? wow, the cake looks delicious, the cake look so attractive, thank you for sharing. I am assuming you have to cook the plantains before hand?